SPEEDING CHARGES IN MOUNTAIN BROOK, ALABAMA? You need the attorneys at Kreps Law Firm if you received a speeding, reckless driving, running a red light or stop sign, or speeding 25 over charge in Mountain Brook, Alabama. You can contact our office to discuss your traffic charge and options for fighting it. Let our experienced and knowledgeable attorneys fight your traffic charge! Kreps Law Firm, LLC Traffic Defense attorneys handle Reckless Driving, Speeding charges and other charges pending in Mountain Brook, Alabama. We have handled hundreds of Alabama DUI, speeding tickets, and other criminal charges. Call us TODAY (866) 348-2889 and let our traffic defense experience go to work for you. We are lawyers that help Alabama Traffic Violation clients in Mountain Brook, Mountain Brook Municipal Court and Jefferson County District Court. © Copyright 2010-2012. 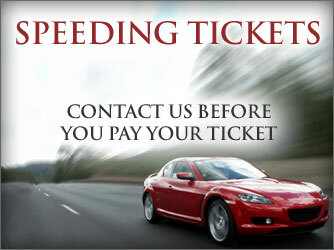 Kreps Law Firm, LLC - Mountain Brook, Alabama Speeding Ticket Attorneys. All rights reserved.